Your dream for a clean and organized house is not far away now. 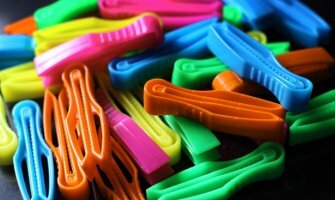 At Exportportal.com, we feature a stock a variety of plastic and rubber products that will suit all your requirements. Explore our extensive selection of plastic products that can be used to store food (dry fruits, sweets, snacks, fast food, confectionery) or household items irrespective of their nature, size or shape. Export Portal has got plastic containers, plastic bottles, plastic crates, plastic pallets, plastic plates or plastic buckets. Browse through Plastic Containers made of polypropylene, sheesham, wood, glass, polyethylene, terephthalate. Our top notch brands include Cutting Edge, Lock&Lock, Decor, All Time and many other that will definitely complete the look of your modernistic kitchen. Or of you are in search of rubber products, you can buy them online on our convenient trading platform as well. View rubber and rubber products trade offers posted by Rubber Products exporters and sellers across the globe. Buy online rubber sheet, rubber washers, electrical safety matting, rubber strip, cable protectors, accessories and adhesive, rubber seals and extrusions and even more. Export Portal is your ultimate destination that caters to all your shopping needs.